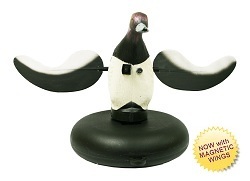 The Mojo Floater Blue Bill is one of the most popular decoys MOJO has ever offered. 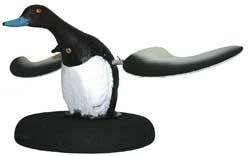 It is realistic looking and practically unsinkable, based on a specially designed decoy body in the correct stretching position and utilizing a "snap on" durable float that makes it highly stable. It features the new magnetic PVC wing design, which allows the wings spin faster, quieter, and give longer battery life. Complete with rechargeable battery and charger it is remote capable (not included).